Ios10, forum 2nd page (this page) the black bottom bar hovers over your forum post. I can only see the quote you made. The menu bar on the left has quite a lot of quirks to it. Here's a bug? that I found. Double click Actions make the submenu pop up and stay there. > The submenu doesn't update when mousing over Alliance and Tribe. Alliance overview shows fame and acres but not strength. Return to construction broken after constructing buildings, please fix. Works fine when not on mobile. Let me know if this is not understood. Hardar u got alot of work, u can make all the magic still happen with a smile? Everything looking good and great on mobile i lile it! Sorry for you c0ckatrice, hope you'll somehow figure out how to play again in the future, have fun. Somehow it feels easier to move up and down with the mouse than it is to move left and right, as the new interface requires. And if I want to do something lower on the menu the natural desire to take the shorter path makes me lose the menu altogether. The forums use 1 column for poster name and 1 for the post, which also includes the posters name. Can we cut that first column out? Mobile, Android. In the top there is a tiny blue arrow pointing down if you press it it collapses open. Might be handy to put some text besides it? i saw that little, very little, blue triange and already click it if any happen, but nothing happen. same as with the logout button..
im ini my laptop now. i dont like the color and maybe its better if tribe stats is always show. Great to see that you've already fixed the submenu pop up staying visible as you move your mouse to it. Also, unless I'm missing something, it's hard to tell which topic has a new post since there's no visual cues - you have to look at the time of the last post in each topic. 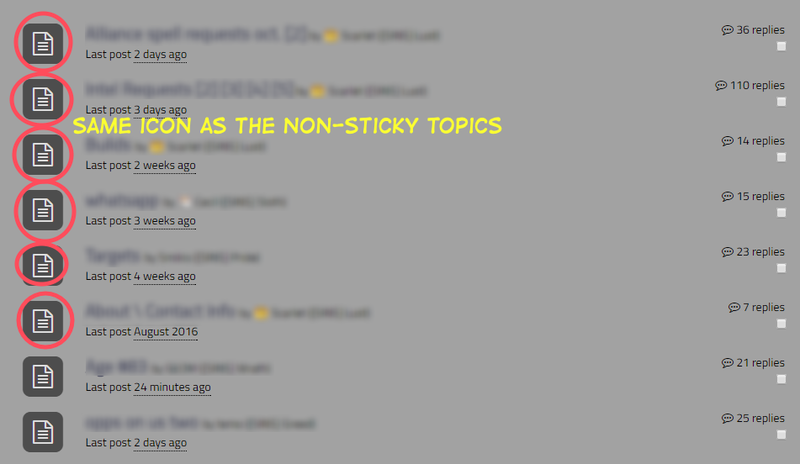 I'm not sure if it's easily implemented, but it'd be nice to have either the topic title or the topic icon change color when there's an unread post in it. - Main menu (Tribe, Alliance...) should be clickable and go in Tribe, Alliance page etc.. 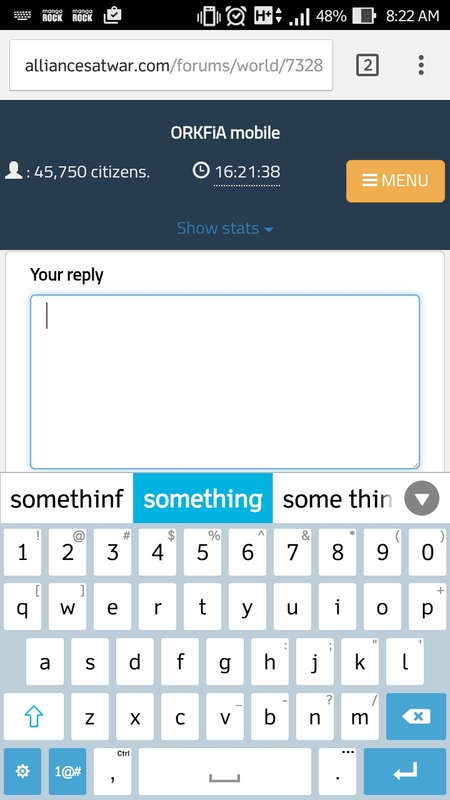 Cannot type in textarea on mobile when part of it leaves screen. Text is invisible and doesn't post. Pasting text allows me to get around this. Also, on lower res phones the orkfia mobile and logout result in over 1/3 of screen being taken by header / footer. Not sure if intended,but leaves little real estate . Otherwise mobile so far is saweeeeet! It still needs some work but I know what a massive work it must have been. A scalable layout has been on the wishlist for a very long time. Keep in mind that any design change takes weeks to get used to. And there are a lot of quick wins available that will really make this layout much better than the old one.